People utilize various forms of transportation every day. In the fast-paced existence that defines modern life, vehicle accidents can no longer be defined as simply “car accidents.” Motor vehicle accidents can involve anything from motorcycles to commercial trucks to bicycles and/or can involve an innocent pedestrian simply crossing the street. If you or someone you know has sustained injuries from a vehicle accident, then you have the right to file an injury claim against the at-fault party. An experienced Philadelphia motor vehicle accident attorney can help you build the strongest case possible and fight for your best interests in a court of law. Local personal injury lawyer Adam E. Grutzmacher has dedicated his career to helping people who have been wrongfully injured in accidents involving negligence. Seeing rightful social justice served is Adam’s number one priority after ensuring that his client’s specific needs and best interests are met. Since opening his Philadelphia personal injury law firm, he has shown tireless dedication to each client that walks in the door — helping them reach peace of mind about their future. What Is Considered a “Motor Vehicle”? Note that any vehicle that does not exceed 25 miles per hour “over level, paved surfaces” or is otherwise not deemed street legal will not be considered a motor vehicle. It is further important to note that the absence of a motor does not necessarily exclude a vehicle from being considered a motor vehicle. If you sustain injuries from any of these vehicles, then you may have grounds for an injury claim. What Are Some Common Types of Motor Vehicle Accidents? Pedestrian Accidents – According to the Center for Disease Control (CDC), “5,376 pedestrians were killed in traffic crashes” while an additional “129,000 pedestrians were treated in emergency departments” with non-fatal wounds in 2015. Often, pedestrians are struck by cars or other motor vehicles due to distracted or inebriated driving — with almost half of these accidents (48%) caused by drunk driving. If you were struck by a vehicle while you were lawfully walking down the street, know that you are likely entitled to compensation. Bicycle Accidents – Accidents involving bicycles are usually due to a driver not paying attention or being able to see a cyclist. This could be for a variety of reasons including driver inattentiveness or failure to stop or yield. A cyclist can add certain safety equipment to a bicycle in order to help with visibility such as reflectors and front and/or rear lights. However, even if you take the proper precautions, accidents still happen. Commercial Vehicle Accidents – These types of motor vehicle accidents involve commercial vehicles such as semi-trucks and box trucks. They are among some of the most serious accidents on the road, usually resulting in severe injury and — in worst case scenarios — wrongful death. If you have been injured or have lost a loved one in a commercial vehicle accident in the Philadelphia area, our Pennsylvania vehicle accident lawyer has extensive knowledge of local and federal highway safety laws that will help ensure that you receive the compensation that you deserve. 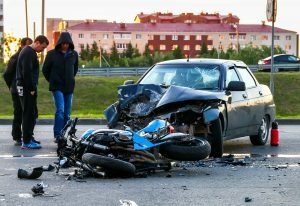 If you are an injured victim of a negligent motor vehicle accident, then you are likely — and understandably — overwhelmed and unsure of what steps to take next. Know that you have rights and legal options. You may be entitled to compensation for past, present and future damages. 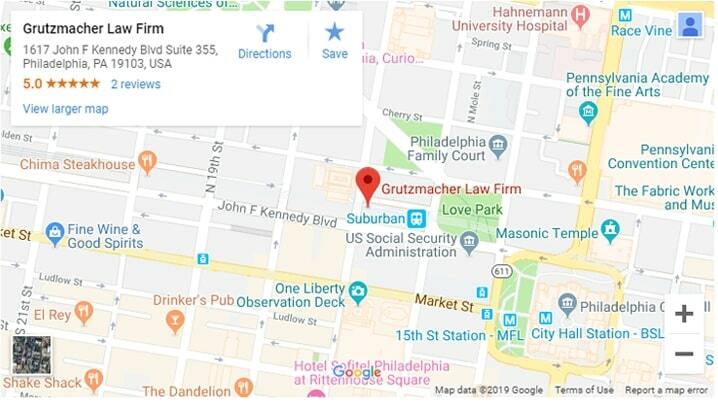 Local Philadelphia vehicle accident lawyer, Adam Grutzmacher, has been dedicated to helping wrongfully injured victims across the nation for several years. Since graduating and starting to practice law under his own name, Adam has been working tirelessly to ensure that proper social justice is served to his clients. Contact us today to see how he can help you.